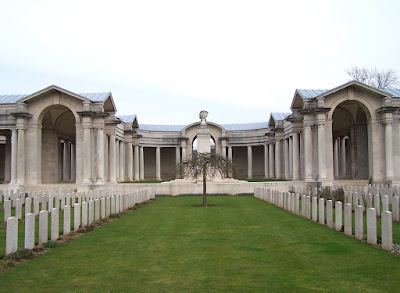 Thanks to the late John Hagger of Newton Poppleford, there is a reasonably full account of Bernard Verriour’s part in the Great War, and of his family background. Click here to read more. The graphic image of the Battle of Delville Wood, seen above and referred to in John Hagger's account, is reproduced from an official military artist’s drawing published in The Great War (1917) edited by H.W. Wilson. 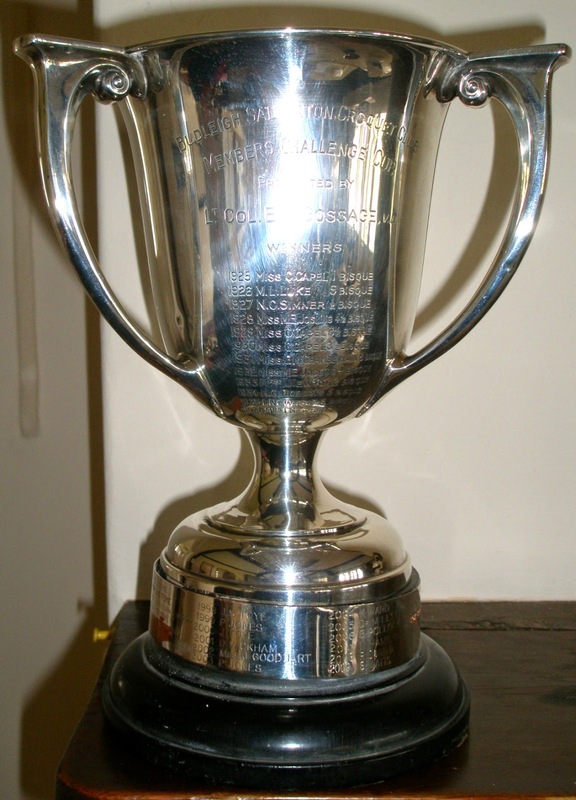 John Gordon Griffin’s name appears on Budleigh Salterton’s War Memorial and on the brass plaque in the town’s St Peter’s Church. He was born in 1889, in Feniton, near Honiton, later moving with his parents, John and Mary Jane Griffin (nee Capron), to Model Cottage in the nearby village of Talaton. k, Selleck or Sellick, the family had numerous members in the business: the antiquary Peter Orlando Hutchinson records in his Journal for 6 October 1887 that ‘Mr Walter Sellek, the Butcher’ had built some cottages in Sidmouth. John Griffin married Ada Slater in 1913 in St Peter’s Church. His wife was from Stoke –on-Trent; Fairlynch Museum records give her family address as The Island, Tean. Their son John W. G. Griffin was baptised in St Peter’s in 1914, according to Fairlynch researcher Sheila Jelley, who notes that the family lived in Frewins and that John as a young father was a keen sportsman. houses should be for local people with a rent of no more than two and sixpence. On the outbreak of war John Griffin joined the Royal Army Service Corps; his previous experience in the butchery trade would have qualified him well for this branch of the Army, where he was attached to Supply Details in the 13th Division, according to a record at Fairlynch. The prefix S4 to his service number indicates that he enlisted as a volunteer in Kitchener’s all-volunteer army. At the time of his death from dysentery on 16 May 1916 he was serving in Mesopotamia – in modern-day Iraq. 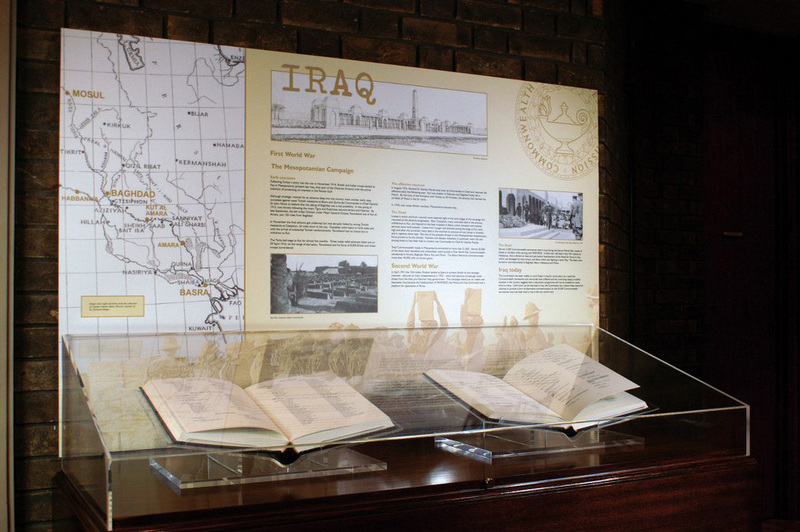 Amara, the town in Iraq on the left bank of the Tigris, was occupied by the Mesopotamian Expeditionary Force on 3 June 1915 and it immediately became a hospital centre. John Griffin was buried in Amara War Cemetery, represented on the Commonwealth War Graves Commission website by the above image. He was 27 years old. Sheila Jelley notes that his wife Ada and their son John returned to her home area of Staffordshire; Ada died there in 1925 when the child was 11 years old. Bernard Morrish was one of five children born to Robert and Sarah Ann Morrish of Church House, East Budleigh. His father was a sexton at All Saints Church. The 1911 census lists Bernard as a bricklayer, living with his parents. 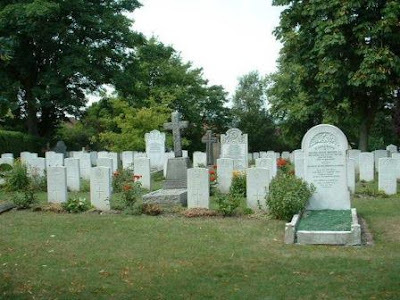 He joined the Army early in 1916 and at the time of his death was serving in the 4th Provisional Company of the Royal Engineers Depot Battalion located at Chatham. 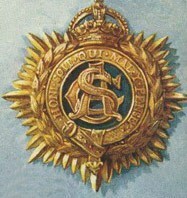 The Provisional Companies had apparently been formed as a result of the rapid expansion of the Army, and the surge in recruitment of formations of men involved in specialist areas such as tunnelling and gas warfare. The Exeter and Plymouth Gazette of Friday 14 April 1916 recorded Bernard’s death at Chatham from what was described as spotted fever, a type of tick-borne illness. ‘He was esteemed by all who knew him, as he was a singularly quiet, well-behaved young man, and of an obliging disposition,’ noted a report. Bernard was buried at Fort Pitt Military Cemetery in Chatham, pictured above, which contains a plot of 265 First World War graves. The newspaper noted that his father was not able to attend the funeral because of illness. There seems to have been confusion over the spelling of Bernard’s family name. The Commonwealth War Graves Commission records his father as W.R. Morris, while the East Budleigh memorials give the surname as Marish. Robert Larcombe’s name appears on both Ilfracombe and Otterton’s war memorials. 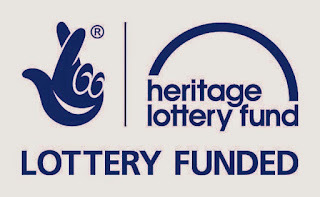 Born in Plymouth on 22 December 1880, he was one of seven children of John and Mathilda Larcombe who at one stage were living at 97 High Street in Ilfracombe. His father was working for the Great Western Railway, and by 1901 had progressed from being a railway guard to becoming station master for East Budleigh Station on the outskirts of the village of Otterton. By 1911 he had retired, but he and his wife continued to live in Otterton, which explains why their son is listed on the village war memorial. After leaving school in Ilfracombe Robert worked as a general labourer in Devonport and then joined the Royal Navy as a stoker just before Christmas in 1905. Within two years he had qualified as a telegraphist. 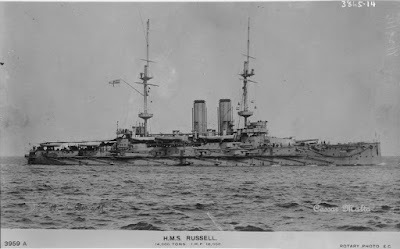 He was serving on the battleship HMS Russell, pictured above, when he married Minnie Murgatroyd in Wakefield Cathedral on 28 March 1910. Both were 29 years old. By 1911 he had gained the rank of Petty Officer Telegraphist, and decided to work in submarines. 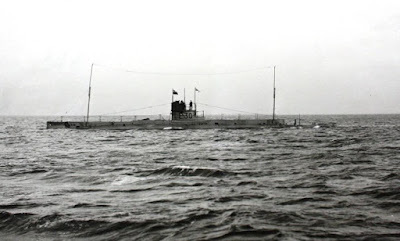 He spent three years from mid-1912 at HMS Dolphin, a submarine school in Gosport, Hampshire, before moving to HMS Titania, a submarine depot ship based at Blyth in Northumberland. He also spent time on HMS Vernon, a shore establishment used for torpedo training. 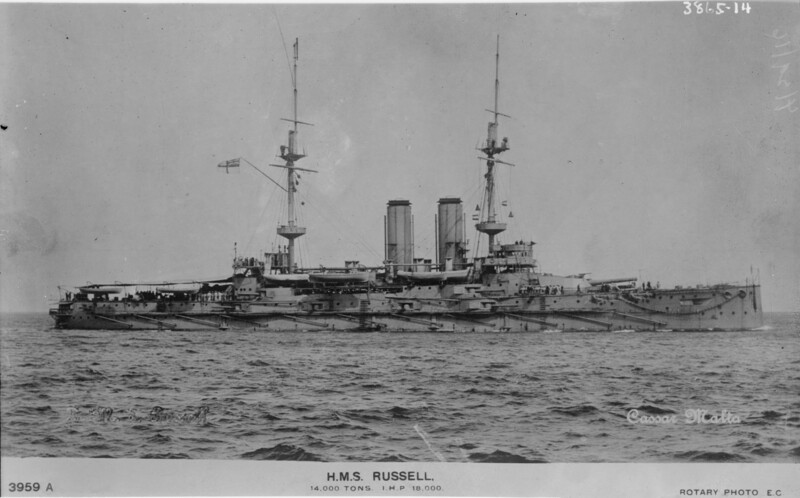 On 7 April 1916 he was serving as a wireless operator on submarine E30, based at Blyth. The vessel, seen in the above photo, had been built by Armstrong Whitworth at Newcastle on Tyne and was commissioned in November 1915. An explosion, apparently caused by a faulty battery, resulted in the death of Robert and three other men. He was buried at Blyth Cemetery, following a funeral attended by over 500 officers and men. 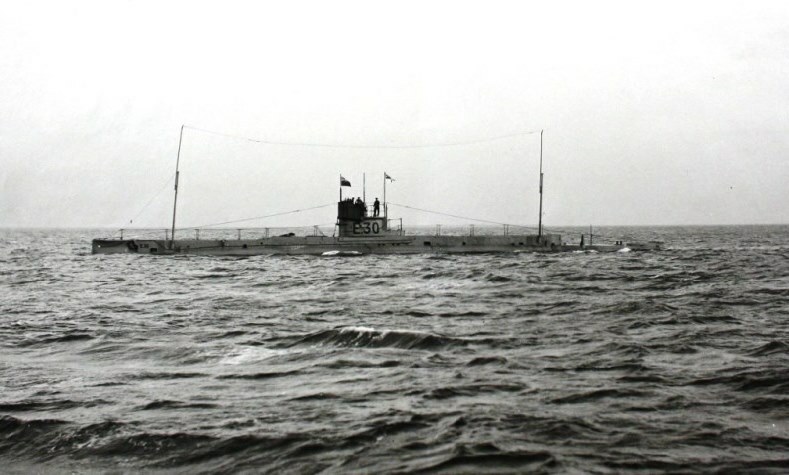 The submarine did not survive WW1: all 30 crew of E30 were lost when it was mined off Orfordness, Suffolk on 22 December 1916. ‘The Great War at Fairlynch’ 2015 exhibition at Budleigh Salterton’s very special museum! Like many from the past who settled in Budleigh Salterton, Caradoc Berrington was born in India to Trevor Davies Berrington and Ellen Berrington (nee Faithfull). His father was Director General of the Indian Telegraph, and on retirement seems to have been living in Wales by 1911 with his second wife and Caradoc’s step-brother. Caradoc’s name does not appear on any local war memorial, but a Budleigh link was established when the family moved to the town. The Commonwealth War Graves Commission records their address as Holly Bank, at 1 Sherbrook Hill. By 1943, when Trevor Berrington died aged 96, he is listed as living at Sherbrook Lodge, on West Hill in Budleigh Salterton. His second wife died at Clinton Terrace in 1962. Caradoc was sent to boarding school, being educated at Wellington College in Berkshire, where he entered the school in January 1900. A keen sportsman, he was a member of the 1st XI in 1903 and 1904, when he was listed as playing an innings of 40 and taking three wickets in the match with Charterhouse School. He was also Head of Gym in 1904, his final year at Wellington, when he entered the Royal Military Academy, Sandhurst. Sport remained a keen interest at Sandhurst as he was in the first teams for rugby and cricket, captaining the 1st XI in 1906. He joined the Royal Artillery on leaving Sandhurst in 1906, listed in the London Gazette as a Second Lieutenant from 25 July of that year. 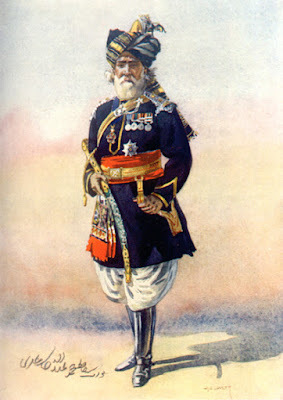 Two years later he joined the 15th Bengal Lancers, Indian Army. Known as Cureton's Multanis, the 15th Lancers was formed at Lahore in 1858 by Captain C. Cureton from Multani Pathans originally raised in 1857 by Ghulam Hasan Khan as The Multani Regiment of Cavalry. Following the outbreak of war the Lancers embarked for France. It seems that cavalry regiments like Cureton's Multanis soon found themselves having to adapt to new fighting methods. ‘Cavalry engaged in the Belgian frontier battles are fighting in all sorts of ways: repeatedly, for example, as infantrymen in the trenches,’ reads a report in the Illustrated War News of 18 Nov 1914. ‘On occasion, also, they have even charged on foot, with bayonet or with their lances. The Life Guards, according to a letter from the front, charged the German trenches the other day with bayonets. A squadron of French dragoons dismounted and crept through a wood on foot, surprising a German infantry company and overpowering them in close-quarter fight with lances and clubbed carbines. Caradoc was promoted from Lieutenant to Captain on 25 July 1915. He was then attached to ‘C’ Battery, 86th Brigade, of the Royal Field Artillery. During fighting in Northern France he was killed in action on 10 March 1916. He was 30 years old. He was buried in La Gorgue Cemetery, 15 kilometres north-north-east of the town of Bethune in Northern France. His grave is one of 144 Commonwealth burials of the First World War. 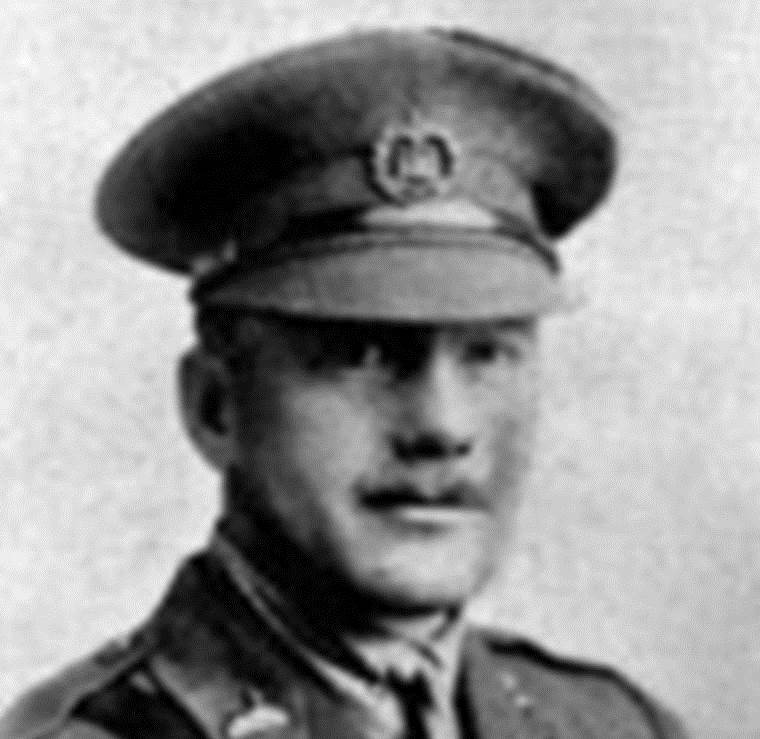 Captain Ernest Cecil Blencowe Blencowe’s name is recorded on both the Budleigh Salterton Roll of Honour in St Peter’s Church and on the town’s War memorial. Born on 10 March 1881 in Derby according to Fairlynch Museum researcher Sheila Jelley, Ernest was the son of Ernest Gottwaltz and his wife Sarah Harriet Ellen née Smee. The brewery and wine and spirit business of Gottwaltz and Lind, of Paignton, in which a certain Ernest Gottwaltz had been a partner, was dissolved on 24 June 1890 according to the London Gazette. However the family were sufficiently well off for young Ernest to be sent to Saugeen School, ‘A Preparatory School for Boys for the Public Schools and the Navy,’ located in Derby Road, Bournemouth. The school has since closed, demolished in 1935 to be replaced by houses. In May 1896 he was registered as attending Sherborne School in Dorset, his family’s address being recorded as Culworth, a large Victorian house on Northdown Road in Bideford. At Sherborne he was attached to the boarding house of The Green. He left the School in August 1899 and by 1901 was living in London and had changed his name. In 1910, according to Fairlynch Museum research, he married Ellen Mary Blanche Edwards. It seems, according to his will that he was living at Moose Jaw, a city in Saskatchewan, Canada, but he was also registered at an address in Bayswater, London. However by 1913 he and Ellen had moved back to Devon. Their daughter was born in Budleigh Salterton, where they seem to have been living at ‘Westcott’, 5 Links Road, known at that time as Golf Road. 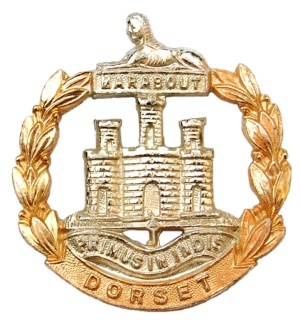 Ernest had volunteered to join the Dorsetshire Regiment, serving with the 6th (Service) Battalion. The Battalion was shipped to Boulogne in France on 14 July 1915 as part of 50th Brigade in the 17th (Northern) Division. 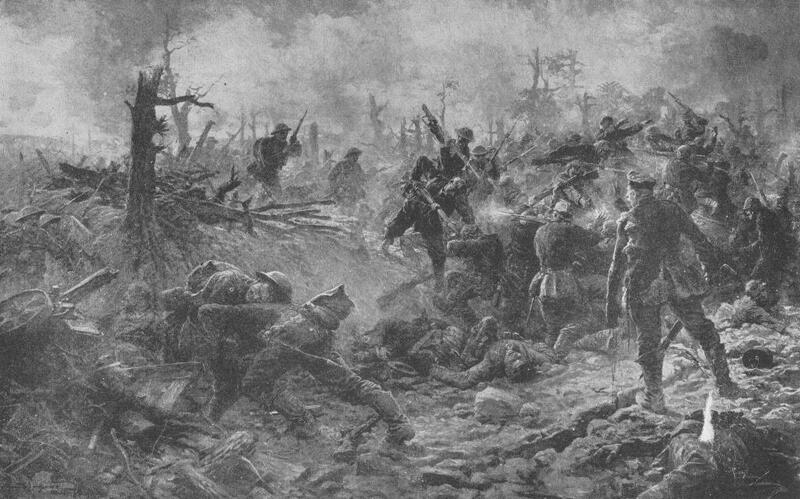 It was engaged in various actions on the Western Front including, in 1915, holding front lines in the southern area of the Ypres Salient. Ernest was killed in action on The Bluff, near Hill 60, Ypres Salient, on 16 February 1916, whilst serving with ‘A’ Company of the 6th Battalion. 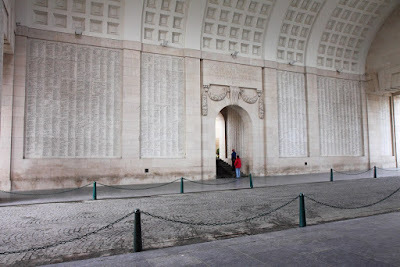 The area in which he was killed was the scene of fierce fighting throughout the Great War. 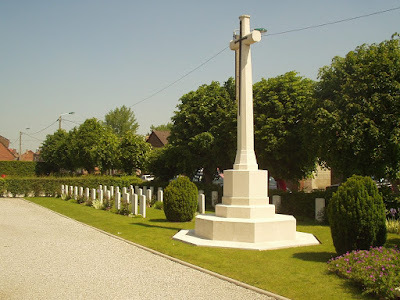 It was taken from the French by German forces on 10 December 1914, recaptured by the British on 17 April 1915, retaken by the Germans on 5 May 1916, ceded back to the British on 7 June 1917 (the first day of the Messines offensive), taken once again by the Germans in April 1918 (during the great Spring push) and finally captured by the British on 28 September 1918. The Regimental History described Captain Blencowe as ‘A most cheerful company commander of “A”. It noted also that he had changed his name from Blencowe-Gottwaltz to Blencowe-Blencowe, ‘as a precaution against possible capture’. He was posthumously Mentioned in Despatches, as recorded in the London Gazette of 15 June 1916. 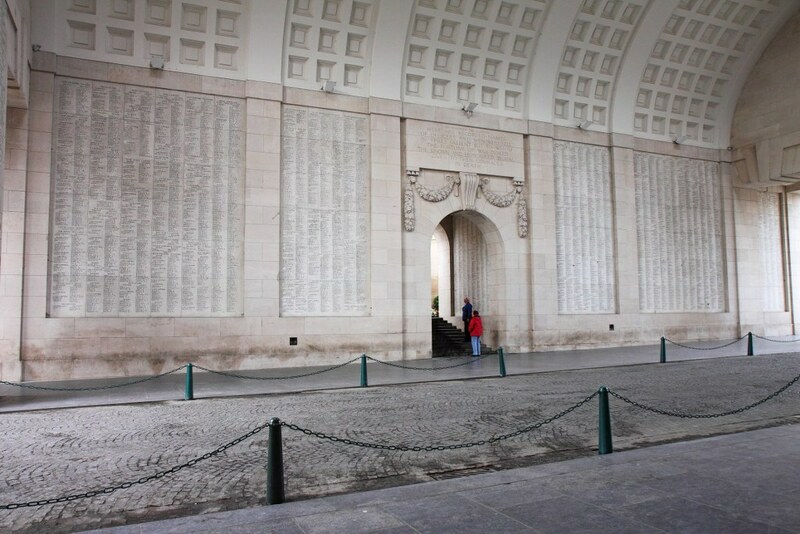 His name appears on Panel 37 of the Menin Gate Ypres Memorial in Belgium, pictured above. 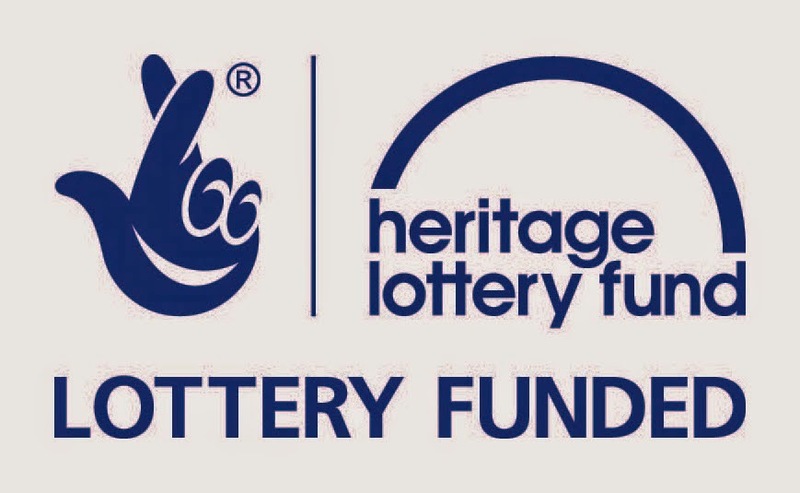 On 13 June 1916, Ellen suffered a second blow when her father, the Reverend Nathaniel Edwards, died at their home on Links Road, four months after losing her husband. 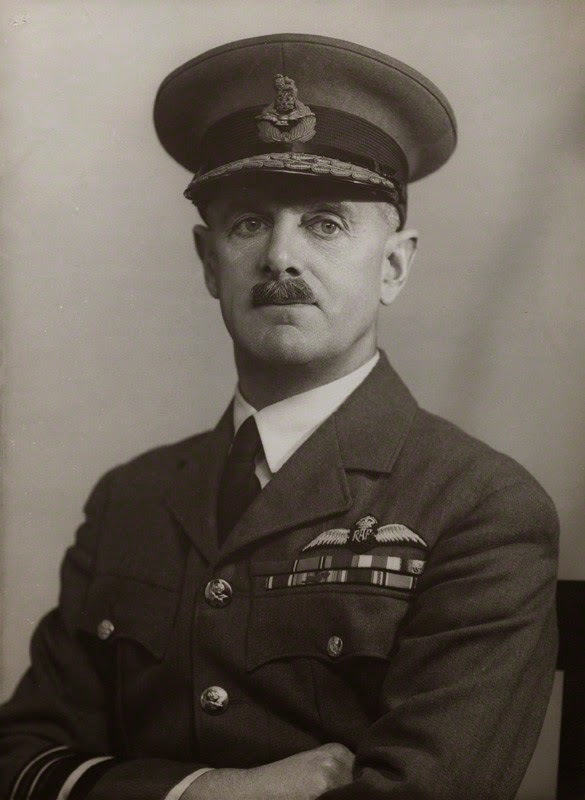 Air Marshal Sir Ernest Leslie Gossage KCB, CVO, DSO, MC, was one of the most highly decorated RAF officers to have fought in the Great War. He was not a Budleigh resident, but his family name is so well known in the town that his wartime service deserves a mention. 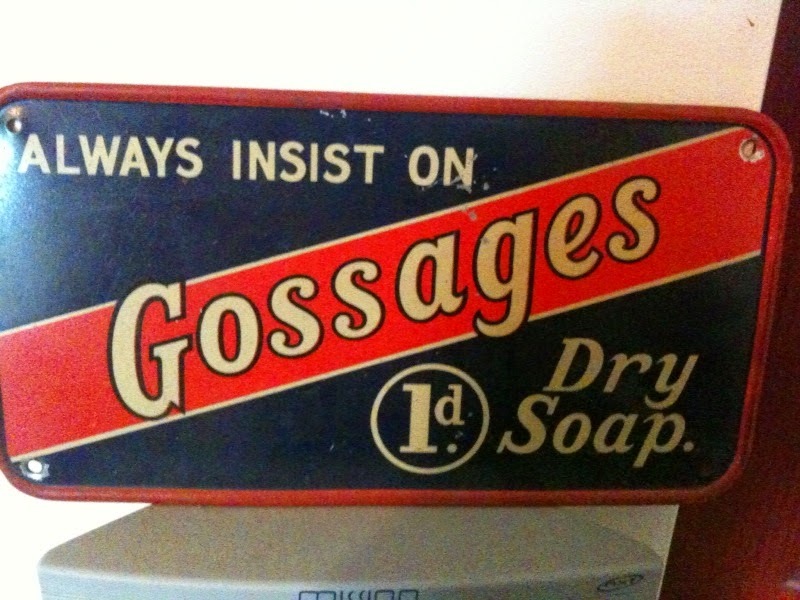 The Gossage family originated from Widnes in Cheshire, where William Gossage (1799-1877) opened his soap factory in 1850. His son Frederick Herbert (1833-1907) carried on the business successfully, living at a house named Winwood in Much Woolton, an affluent suburb of Liverpool. The name of Winwood recurs several times in the Gossage family records. It was borne by two of his sons, including William Winwood Gossage (1862-1934). Mayor of Widnes in 1901-02, he was described as a soap manufacturer, as was his younger brother Ernest Frederick Gossage (1863-1933). Ernest Frederick Gossage moved to Budleigh Salterton at some stage, living at a house called Homeland in 1919 according to a local town directory. However he either moved to another house or, more likely, renamed it in accordance with the family tradition. It was at Winwood, on Cricketfield Lane, that he died on 25 February 1933. Their son Ernest Leslie Gossage (1891-1949) was born at Toxteth Park, Liverpool, on 3 February 1891. He was educated at Rugby School and Trinity College, Cambridge. On 19 July, 1912, he was appointed as Second Lieutenant of the Royal Field Artillery, having joined the RFA Reserve while still at University. On 12 May, 1915, he was listed as a Flying Officer with the Royal Flying Corps (RFC), the air arm of the British Army. The term was originally used in RFC as a flying appointment for junior officers, not a rank. At the start of the war, the role of the RFC consisted of artillery co-operation and photographic reconnaissance. Commanded by Brigadier-General Sir David Henderson, it consisted of five squadrons – one observation balloon squadron (RFC No 1 Squadron) and four aeroplane squadrons. These were first used for aerial spotting on 13 September 1914, but only became efficient when they perfected the use of wireless communication at Aubers Ridge on 9 May 1915. Aerial photography was attempted during 1914, but again only became effective the next year. By 1918, photographic images could be taken from 15,000 feet, and interpreted by over 3,000 personnel. Gossage was assigned to No. 6 Squadron as a pilot. Formed at Farnborough on 31 January 1914, the squadron had arrived in France in August of that year. By 5 September 1915 Gossage had reached the rank of Captain and had become a Flight Commander in No. 6 Squadron. Later in the same year he took command of No. 8 Squadron. Operating from airfields near Saint-Omer, the squadron was initially used for bombing and long-range reconnaissance, carrying out flights of up to 100 miles (160 km) behind the front lines. It was equipped with a mixture of aircraft, including the Royal Aircraft Factory BE8 and the Bristol Scout, while it also evaluated the prototype Royal Aircraft Factory BE9, pictured above, a modified BE2 that carried the observer/gunner in a nacelle ahead of the aircraft's propeller. The opinion of those testing the BE9 was generally negative, with Major Hugh Dowding, at the time commander of 16 Squadron, stating that it was "...an extremely dangerous machine from the passenger's point of view”, while Hugh, later Viscount, Trenchard, head of the RFC in France said that "this type of machine cannot be recommended.” It was sent back to the United Kingdom early in 1916. In February 1916 No. 8 Squadron moved to Bellevue and specialised in the Corps Reconnaissance role, carrying out contact patrols and artillery spotting in close co-operation with the army. The squadron flew in support of the Battle of the Somme in the summer of 1916 and the Battle of Arras in April–May 1917. The following year, he was promoted to Lieutenant Colonel and took command of the Royal Flying Corps' 1st Wing. 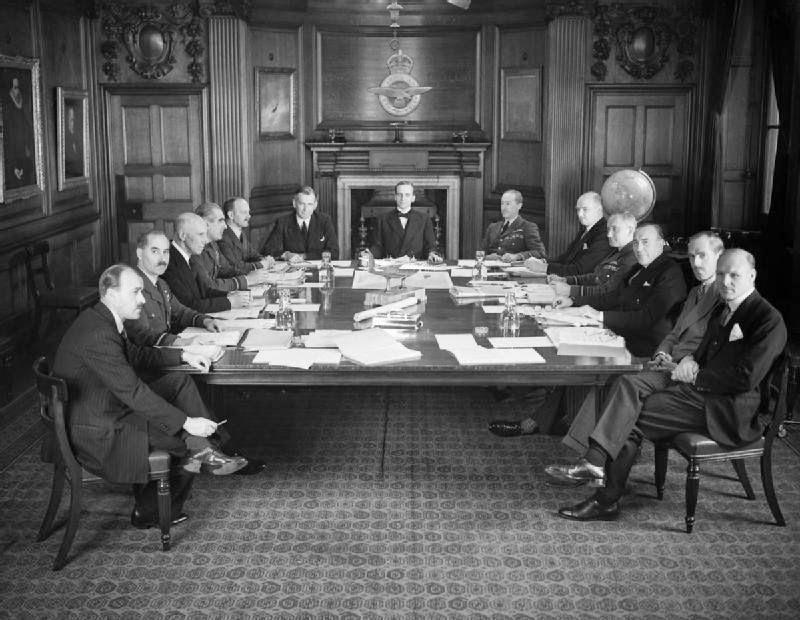 When the Royal Air Force was founded on 1 April 1918 Gossage was appointed as a Staff officer in the Directorate of Operations and Intelligence. After the War he became Officer Commanding the School of Army Co-operation before moving on to be Deputy Director of Staff Duties at the Air Ministry in 1928. He was appointed Air Attaché in Berlin in 1930, Senior Air Staff Officer at Headquarters Air Defence of Great Britain and Senior Air Staff Officer at Headquarters RAF Iraq Command in 1934. He went on to be Air Officer Commanding British Forces Aden in 1935 and Air Officer Commanding No. 11 Group in 1936. He served in World War II as Inspector-General of the RAF, as Air Member for Personnel and then as Air Officer Commanding-in-Chief at RAF Balloon Command. Following his retirement from regular service with the Royal Air Force, Gossage agreed to be re-employed to assume the role of Commandant Air Cadets after the retirement of Air Commodore John Adrian Chamier. He served in this role until he stepped down in 1946. He died three years later in Sussex, aged 58. Although the family background was commercial rather than military, there were links to the armed forces. William Winwood Gossage is recorded as the Honorary Colonel of the 3rd West Lancashire Brigade of the Royal Field Artillery. Records of the Budleigh Salterton Croquet Club in the 1970 issue control sheet make mention of a Major Gossage in 1947 with reference to the Gossage Cup. This is likely to have been Major Terence Leslie Gossage MBE (1918-1999), son of the Air Marshal and a Major in the King's Own Yorkshire Light Infantry. ‘The Great War at Fairlynch’ 2015 exhibition at Budleigh Salterton’s very special museum! 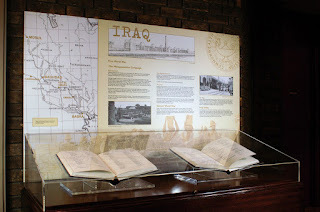 Reviews included: “Wonderful display on WW1, informative, bright and relevant. Well done!! Born in 1946, in Birmingham UK, of Scottish-Irish parentage, and brought up as a Roman Catholic. Early education may have driven me into teaching, in the belief that schools should offer a more enjoyable experience for children. Studied French at London University, specialising in 16th century literature. Then came 34 years of teaching French, along with red herrings and common sense, at Oundle School,5). Dabbles, and some people say meddles, in many areas. A passionate gardener, moved to Devon partly to grow ericaceous plants more easily. Other interests include family, cycling, walking, ph Northamptonshire. Published articles in Etudes Rabelaisiennes, (a long time ago), and some books - 'Oundle's War' (1995) - 'The Scientist in The Cottage' (2013) - a biography of Henry Carter FRS (1813-95), 'Our Little Clown' - a biography of Reg Varney - photography, reading, music, studying butterflies, chopping wood, DIY, playing on the scaffold tower, and networking for the Greater Good. Married to Anthea for over 40 years. Three children: Emily, Simeon and Rosanna, four grandchildren and two Bengal cats. I'm a cancer survivor – I hope!